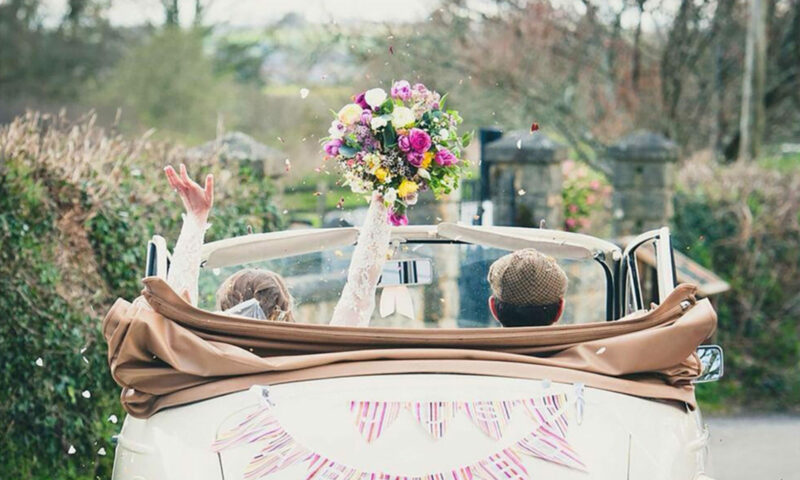 Devon Classic Wedding Cars is here for those who want to do things a little differently. Right now we are making changes to our fleet of classic wedding cars ready for 2019 so bookmark us and keep and come and see what cars we have lined up. At the moment the DB5 is available for hire so let us know if you are interested in James Bond’s car as a wedding carriage. So go on – dare to be different and make a great day a classic. Devon Classic Wedding Cars is a small, independent, family business run by Steve. “In 2004 I turned my back on my career as an IT director and took a giant leap into the unknown, to follow my dream of turning my passion for beautiful classic cars into my daily business. At the end of 2015 I took another giant leap and moved from Staffordshire to South Devon and set up Devon Classic Wedding Cars for my classic wedding carriages and Self Drive Classics for those who want to get behind the wheel. Your booking is not valid until we have confirmed it. We will contact you as quickly as possible to finalise it.